Farook and Malik’s marriage isn’t the only one garnering suspicion. In the midst of the investigation into Farook’s family, new details have emerged about the use and possible abuse of the government marriage citizenship program involving Enrique Marquez, the man who officials told ABC News originally bought two of the weapons used in the San Bernardino attack and was married to Mariya Chernykh, who moved from Russia to the United States in 2009. “The F.B.I. director, James B. Comey, said Wednesday that the couple who waged a shooting rampage in San Bernardino, Calif., last week had been talking of an attack as far back as two years ago, before the United States gave the woman approval to enter the country…The disclosure raised the possibility that American immigration and law enforcement authorities missed something in the woman’s background when they granted her the approval.”) I’ll say. Not to worry, says the U.S. government. Immigration law is strictly enforced. 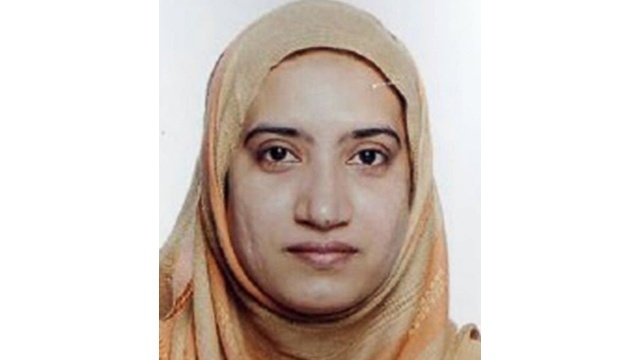 Tashfeen Malik, who pledged her fealty to ISIS and joined with her husband to brutally slaughter 14 people in San Bernardino, came to the United States on a “fiancée visa”, otherwise known as a K-1 visa. Under the law, the spouse-to-be from a foreign country is allowed to enter the United States for 90 days so that the marriage ceremony can take place. Once the marriage takes place, the spouse may apply for permanent residence and remain in the United States while U.S. Citizenship and Immigration Services processes the application. The government says the fiancée visa system is very rigorous and strictly enforced. If the foreigner doesn’t follow the law, they have to go home. The problem is violations of U.S. visa law are routinely ignored. The fact is that about 40% of the 11 million undocumented workers in the United States aren’t low-income people from Mexico and Central America. Instead, they are foreigners who arrived legally, often on fiancée, tourist or education visas, and just never left. They became what are simply labeled “overstayers”. According to a report in the Wall Street Journal, the government doesn’t even compile information on the millions of overstayers, leaving it to others to piece together a snapshot of who they are and where in the U.S. they live. This entry was tagged ABC News, Enrique Marquez, francee visa, Homeland Security, immigration, ISIS, James B. Comey,, Mariya Chernykh, overstayers, Russia, San Bernardino, Tashfeen Malik, U.S. Citizenship and Immigration Services, undocumented, USCIS, visa. Bookmark the permalink.